Paul Carruthers Manufacturing Jewellers have been custom designing and manufacturing engagement rings for over 30 years. We understand just how important it is to get right, and that at times trying to choose and engagement ring can be overwhelming and quite stressful. Engagement rings are symbolic of the ultimate commitment one person can make to another. Like all jewellery, the price for an engagement ring can vary considerably depending on the materials used, the design of the ring, whether it includes a gemstone, the value of any gemstone, and the seller. The idea that a man should spend two to three months’ personal wages for an engagement ring originated from De Beers marketing materials in the early 20th century, in an effort to increase the sale of diamonds, and is absolutely false. Every single couple is unique – and has an idea of what sort of budget they have in mind. According to money-guide.com.au, in 2009 the median price for an engagement ring in Australia was around $5000. That being said, most engagement rings can generally range in price from $1000 – $50,000. 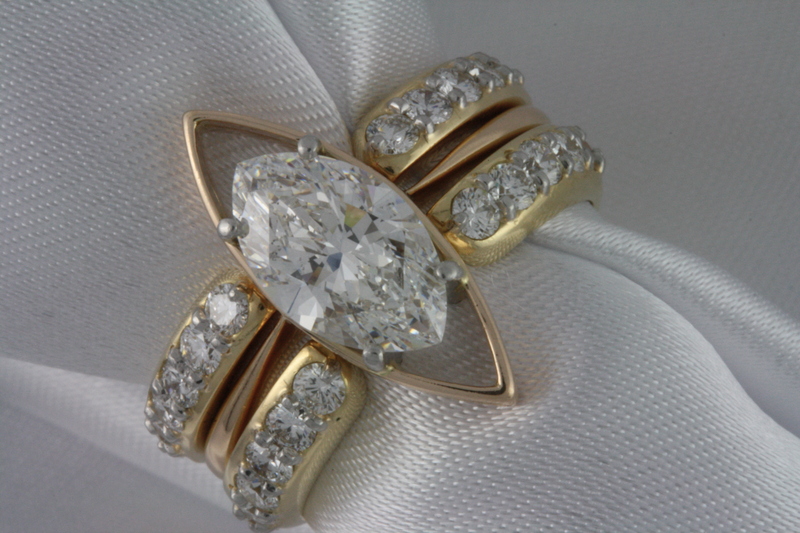 There is a big difference in engagement rings manufactured in a factory, and those that are manufactured by hand. Hand crafted rings will be of a much higher quality, and will last much longer – as the fine details can be tuned right down. Machine made jewellery is much faster, and therefore cheaper, however the quality is generally lower. Please feel free to contact us if you would like to have a chat about engagement rings.